The old entry level plan is going away. The old middle plan is becoming the new entry plan — same specs, lower price. A new powerful top plan is introduced. The Professional Stack is designed for modern web applications, this mostly means Laravel apps or modern high traffic websites. 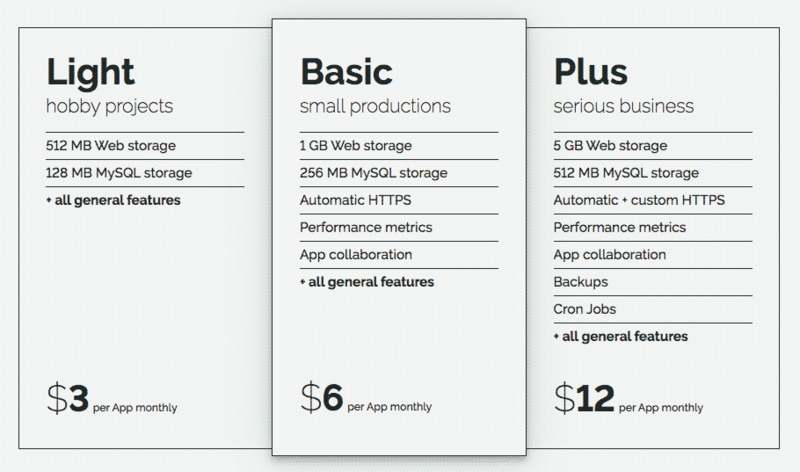 The Universal Stack with more backwards compatibility has a wider range of applications. So we are seeing more classical legacy content driven websites, mostly CMS-based. Especially Craft-CMS is raising. And those software-systems sometimes need a little more horse-power to behave well. If you have existing Apps: Don't worry! Your current plans will not change. You can scale up your App from your current V1 plan to a V2 plan. Any new Apps booked from now on need to be on the new V2-Pricing. We are also changing a wording: We think that "Standard" is a better than "Basic" when is comes to the name for the plan in the middle, the plan we do recommend for most common use cases. Yes, this is a professionalisation of the Universal Stack. We are re-introducing the PHP processes here, an important metric that describes the number of maximum concurrent requests. More resources even for low/mid traffic sites with multiple (Ajax) requests per visit make a huge difference. 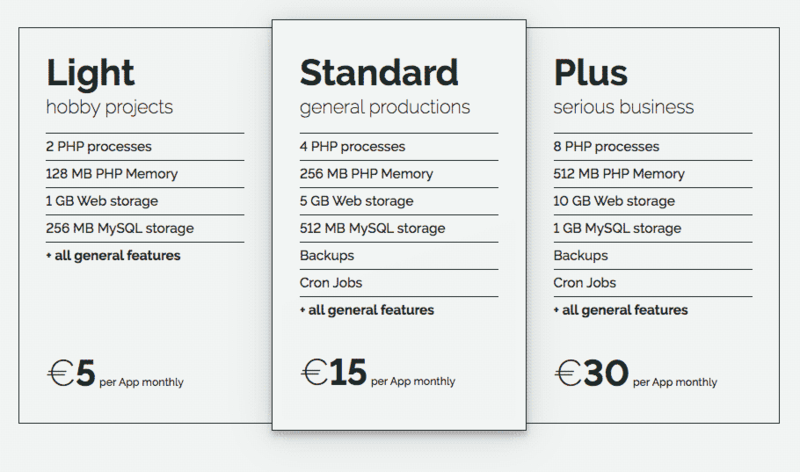 And there are bigger PHP memory options available now, to support intensive tasks like image transformations without running into trouble. This is also a step back from features to hardware specs. For the sake of clarity we have skipped the distinctive features: Automatic HTTPS, Performance metrics and App collaboration, which are now always included. Are we doing the right thing? We are very curious what you think.